There is a way of looking at things that drives me crazy it’s called Relativism. “That’s true for you but not for me”, “Beauty is in the eye of the beholder”, “You can’t judge other cultures by the standards of your own”, “There are no absolutes in life”, these are some statements of Relativism. 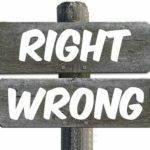 Relativism is sometimes (though not always) interpreted as saying that all points of view are equally valid, but in saying that they contradict themselves can evil even be defined under these terms, can well be defined? Only the personal belief matters not what the terms of the belief are. Don’t confuse me with the facts! Some relativists claim that humans can understand and evaluate beliefs and behaviors only in terms of their historical or cultural context. Relativism is not skepticism. Skepticism superficially resembles relativism, because they both doubt absolute notions of truth. However, whereas skeptics go on to doubt all notions of truth, relativists want to replace absolute truth with a positive theory of relative truth. For the relativist, there is no more to truth and than a personal or cultural belief, so for them, there is a lot of truth in the world. It is personal truth not true for all people but those who embrace the belief for themselves. If your head is spinning right now and you are confused it not your fault. This thinking has confused many in university and it taught as true in schools around the world. It is my opinion that it is a purely selfish way of life that excuses any wrong-doing therefore allowing all to do as they see best. There is no right or wrong only believe in one’s self and self-world view of life. Some think this is the result of the freedoms we have as Americans and those in the free world. 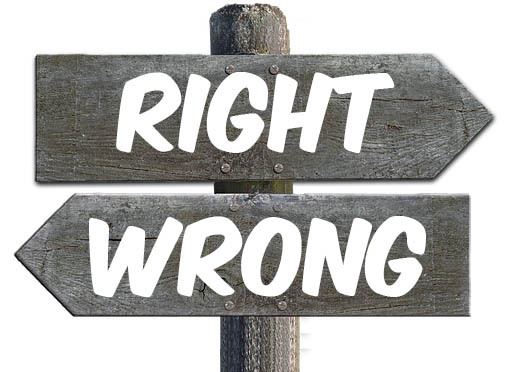 I think it is just a way of not taking responsibility for the right and wrong of what we do. Wrong choices have consequences, that is one truth that will never change. Let me know what you think, 🙂 Walt. This entry was posted in Phylosophy and tagged Political Correctness, Post Modernism, Relativism by Walt. Bookmark the permalink.